Our parking lot repair and construction technicians will reach out shortly. NEED PARKING LOT CONSTRUCTION SERVICES? Is a good thing to consider every 5-10 years. 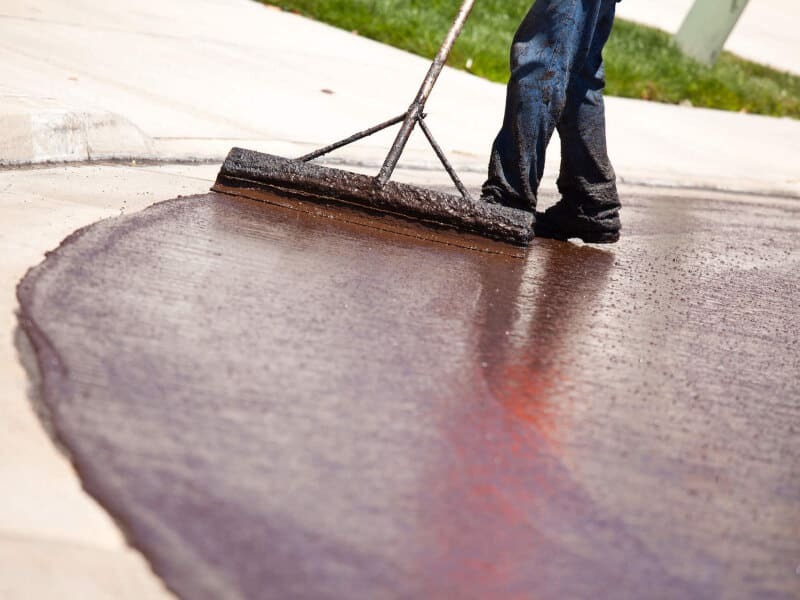 Depending on where you are located in California, how much traffic your parking lot experiences, etc – some parking lots need a new resealing every 2-3 years because of the whether, heavy trucks and more. We like to review all properties before any bid is given out due to this reason. A new surface also means your parking lot striping and marking for handicap spots will be fresh and more ADA compliant than the old outdated parking lots with broken stripes. While having a new surface is ideal, also having these items reviewed and updated as needed is even better! 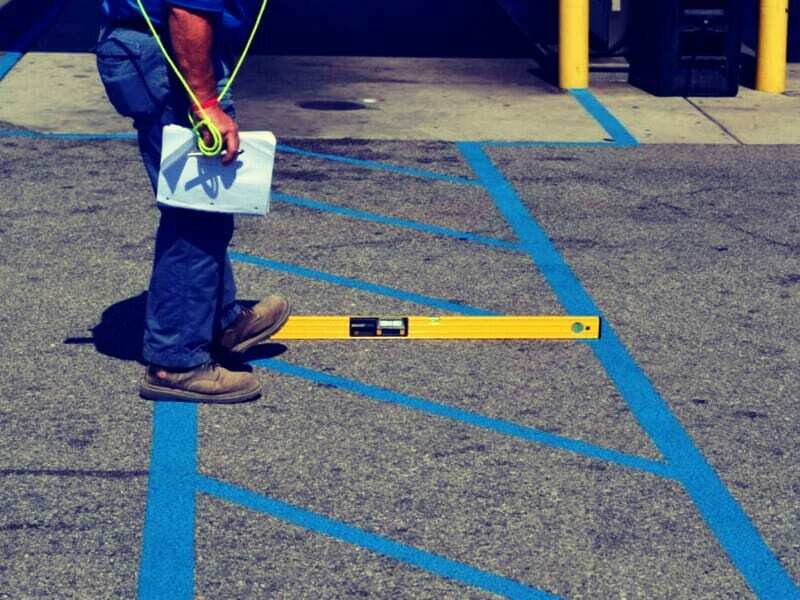 When it comes to pavement markings and parking lot striping services in Riverside CA, our striping technicians make certain to stick to government specifications. 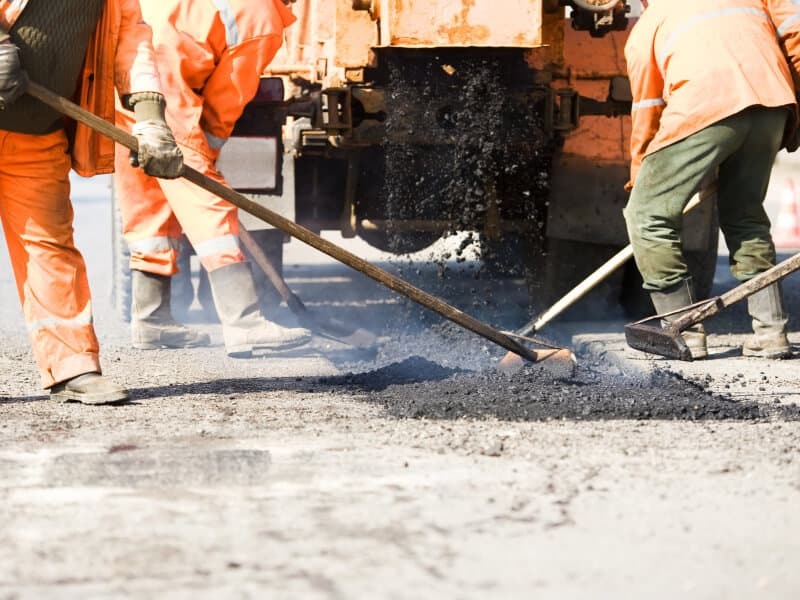 We can provide all types of solutions including ADA Inspection, pavement marking needs, and additional construction items that you might have. We can create center lines, edge lines, yield lines and stop lines. Any type of marking, in fact, is something we can provide for you to provide your area with greater road safety. We make sure to use materials that work with your budget. We also make sure that what we use will also last under traffic and the elements. We always consider how long the materials take to dry so you will not be held up. 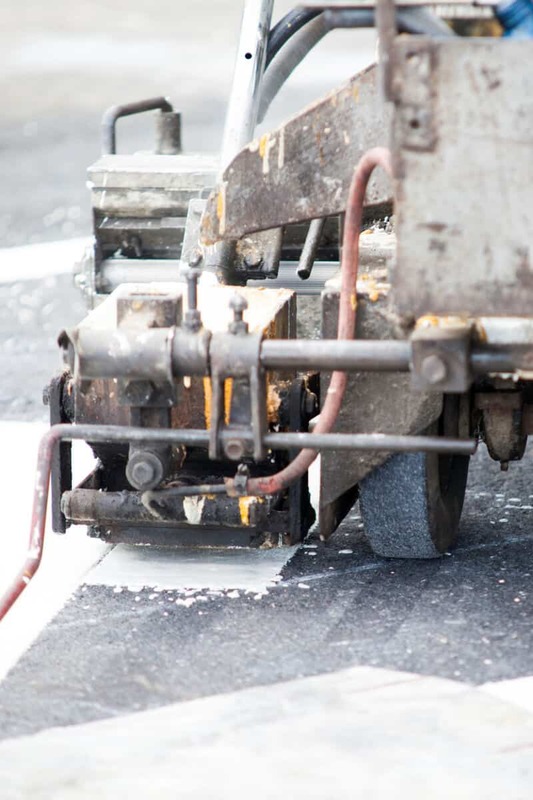 An assortment of pavement marking materials is available from water-based paints to epoxies to tapes and thermoplastics. 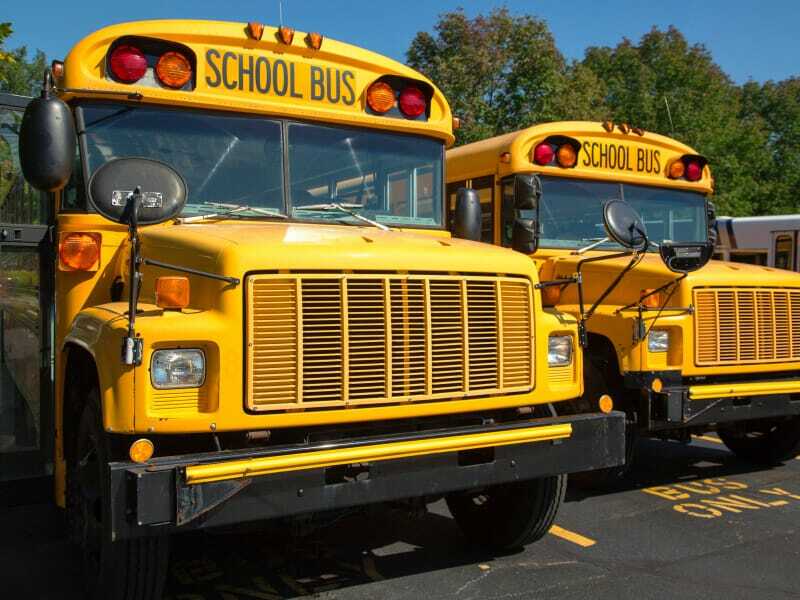 We know that materials can deteriorate over time due to traffic and weather exposure and we work to suggest the best possible for your budget. Hiring a professional parking lot striping company is the first thing you should consider when your property needs repair. 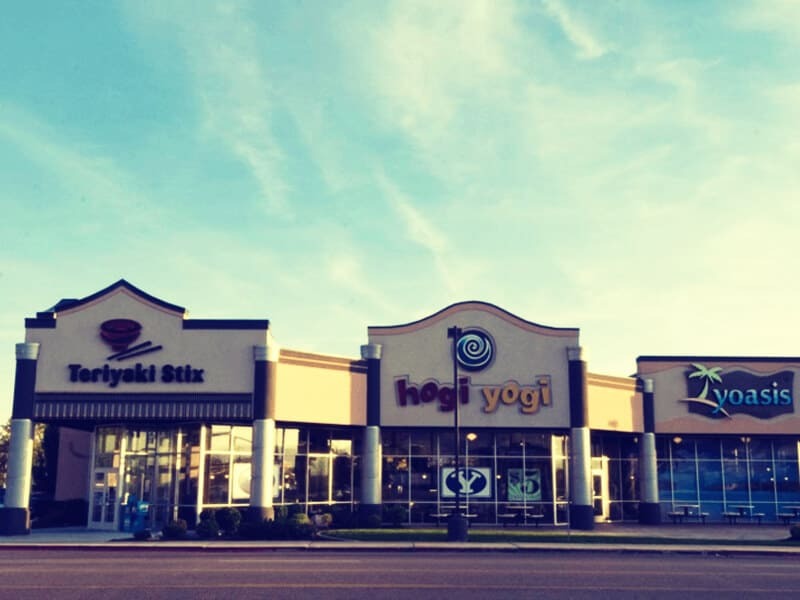 Typically the first thing noticed by any customer, client, or visitor when they enter a business – is the parking lot they are driving into. If this parking lot is well maintained, the paint stripes new and fresh, indicate that the property owner cares about maintenance. When the parking lot is well marked, it helps direct the handicap safely through the parking area. Ensuring that a parking lot has proper stop bars, loading-zone markings, pick up areas, and other pedestrian directions helps ensure people know where to walk and when to give up the right of way to any traffic. We can help improve and preserve the proper flow of traffic in your parking lot. How? Ensuring that the parking lot is newly striped and has a layout that ensures proper flow of traffic. 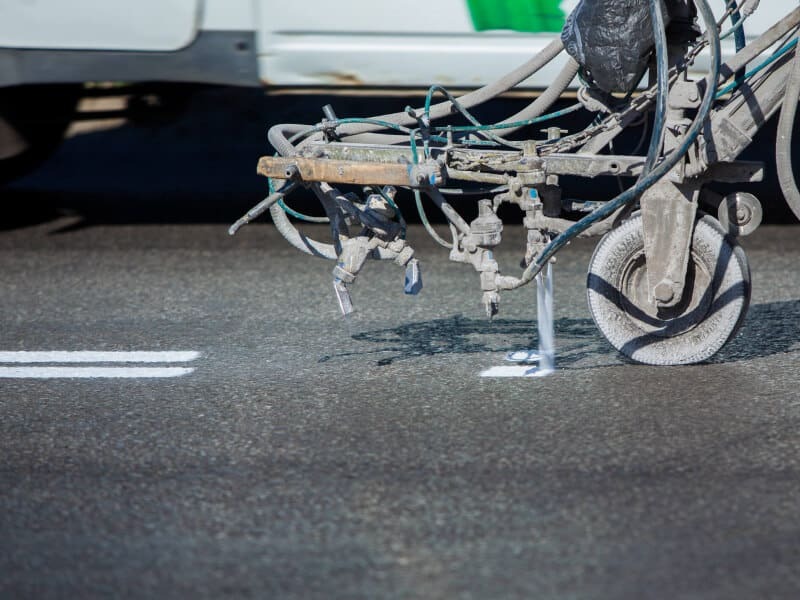 When it comes to doing pavement markings and parking lot striping services throughout California, we make certain to stick to government specifications. We can provide all types of solutions to the pavement marking needs that you have. We can create center lines, edge lines, yield lines and stop lines. Any type of marking, in fact, is something we can provide for you to provide your area with greater road safety. NEED STENCILING SERVICES ASAP? WE GOT YOU COVERED! READY FOR THAT FRESH PARKING LOT?